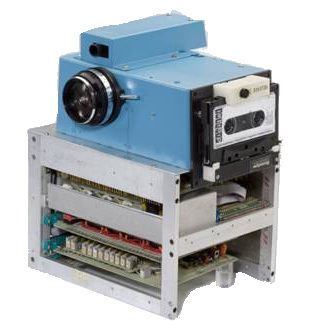 In 1975, Steve Sasson built this prototype for the world’s first digital camera while working at Eastman Kodak. Sasson’s camera used CCD sensor technology. Vintage 1975 portable all electronic still camera. Kodak. Accessed: 23 July 2010.